One of Jordan Brand’s new models this 2011, the second installment of the Jumpman C-Series is set to hit shelves this March and because it is one of the new shoes on the block, it is expected to won the hearts of many once again! 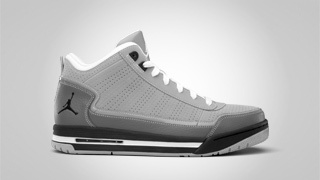 Among all Jordan Brand’s latest releases this 2011, the Jumpman C-Series is arguably the simplest of them all. But despite its simplicity, the Jumpman C-Series is quite impressive because of its classic-looking design – qualities that Jordan loyalists are always looking for. Can wait for it? Be sure to start saving money because it expected to be release anytime this month in Stealth/Black-Light Graphite-White colourway! Watch and don’t worry because we’ll keep you updated!